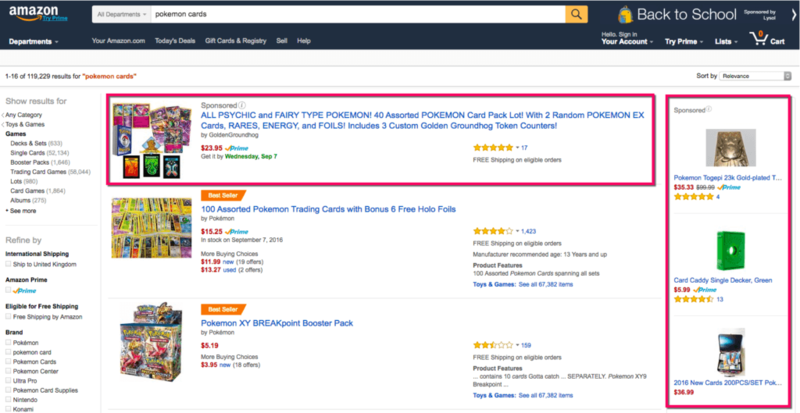 Amazon PPC is a great option to promote new products / rebuild momentum to old ones. Sometimes, Organic efforts need help. That’s when Amazon PPC come handy, to give to an already good campaign a push. The way Amazon PPC work is similar to Google Adwords. Promoted products are going to be shown under set keywords. You, as an Advertiser, pay each time someone clicks on one of your product. ACoS?! Yes, the Average Cost of Sale. You want your product to have credibility, you want that when people will see or click on the AD, it would have enough reviews so they would buy. That’s why it’s recommended to start with ADs only after you have got at least 15-20 reviews. Amazon has a great system for finding keywords for you. It’s a good idea to use the automatic campaign in conjunction with a manual one, transferring good keywords from the automatic campaign to manual campaign. sometimes, Amazon won’t match the exact phrase/keywords getting your products promoted in nonrelevant searches. The way to overcome it is growing your ‘negative keywords’ list. When you set negative keyword in a campaign, Amazon won’t show your ADs in any search terms containing that negative keyword. When adding a new keyword, start with a higher bid. That will allow the keyword to get ‘clicks’. Once some clicks been made, the price can be lowered. A set of products and a set of keywords are made for each ad group. Because all products should appear for that keyword set, it’s important to keep in mind that you should choose a set of products that contextually fit those keywords. Just as you keep adding new relevant keywords, work on removing the bottom 10% performing ADs every week or two. Once you have found a good keyword, get it back to your listing. incorporate it in your listing/writing. That’s way, you will improve your organic rank. Buy Me! Buy Me! Buy Me!